Xiaomi Mi A2: The Beastly Android One Smartphone! Xiaomi Mi A2: Can this keep Android One project alive? Update, April 23, 2018: Could Xiaomi Mi A2 be the Android One smartphone you have been waiting for? Xiaomi last year partnered up with Google to bring a new series. It quickly got popular among smartphone users seeking the dual-lens camera experience. This was the first Xiaomi phone that didn’t ship with MIUI ROM but came with stock Android experience. It’s been less than six months, but Xiaomi’s primary competitor in India, Honor India, has introduced at least three smartphones that indirectly competes with Mi A1. These handsets come with dual-lens, powerful processor, and impressive set of specifications offered at an aggressive price point. Which is why the Chinese smartphone brand is rumored to release Mi A2 sooner than its due time. We have got the exclusive scoop on the Mi A2 specifications and the price. Let’s learn about the upcoming Xiaomi and Google phone. What can you expect to see in the Xiaomi Mi A2 specification sheet? > Welcome the Bezel-less Display! This is the major demand from users. Since most of the competitors have already introduced the 18:9 screen on their devices. It is about time Xiaomi takes that step. Expect a 5.99-inches display with full HD resolution. > Quad Camera, Cuz dual ain’t enough! 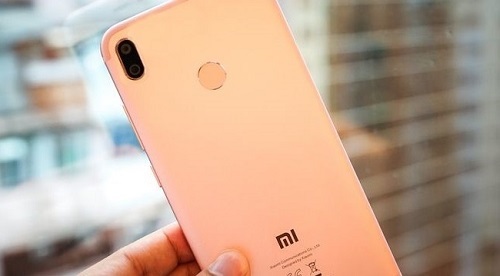 If the market trends are any indications, Xiaomi would introduce a dual-front camera on their next Android One smartphone. 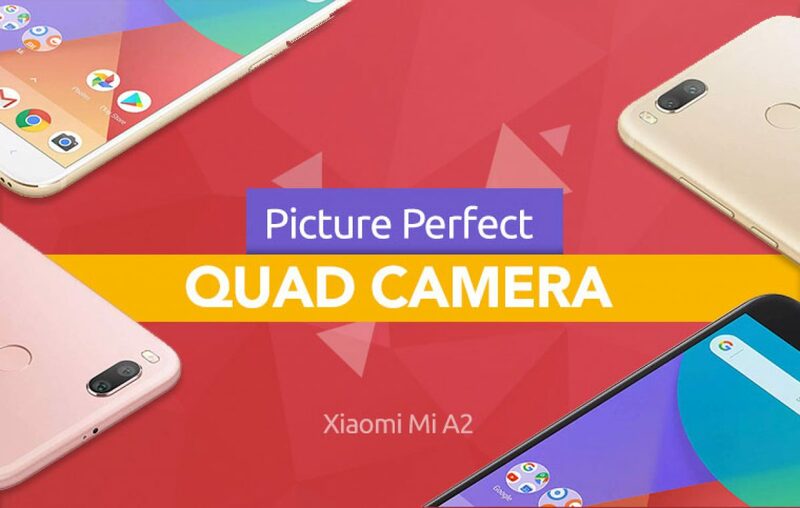 Get ready to capture amazing selfies on Mi A2! > Vertical Rear Camera! Following in the footsteps of Apple iPhone X, the new Mi A2 will come with a vertical rear camera setup. Placing LED flash between the dual lens, the camera resolution is unknown. But its reported that one would be an RGB sensor and another would be a monochrome sensor. > Processor upgrade: Xiaomi Mi A2 might introduce a Qualcomm Snapdragon 636, which is also rumored to be powering the upcoming Xiaomi Redmi Note 5. It would be a slight upgrade but should offer significant improvement in a device performance. > RAM & Storage Amount: The Mi A2 might introduce two variants, where the regular model will sport a 4GB RAM/64GB storage and a pro variant will come with a 6GB RAM/128GB storage. > Increased Battery Capacity: A large display would demand a larger battery capacity, which is why you can expect improvement in battery capacity from 3000 mAh to at least 3500 mAh. Why should you wait for Xiaomi Mi A2 release date in India? If you are not buying the Mi A1 for the reasons that it doesn’t have a bezel-less display! Cuz it’s understandable as most good smartphones below 15,000 now offer an 18:9 screen as standard. What is the expected Xiaomi Mi A2 price in India? Xiaomi India is good with price tags, in fact, they are better than any of their competitors. But with brands like Honor going all in, Xiaomi does have to be careful. Which is why we expect Xiaomi MI A2 price in India should start somewhere around Rs 12,990 for 4GB RAM and Rs 14,990 for 6GB RAM model. Then, Xiaomi would definitely kick out its competition. Xiaomi has surely made tables turned with its first Android One phone, Mi A1. What do you feel about the Mi A2 specification and price in India? Will it take the Google’s project to next-level? Give your feedback below in the comments section. What’s the update on Mi A2 release date in India? Xiaomi has officially announced the date of Mi 6X release in China, which will be called Mi A2 in India. Looking at the time frame, Xiaomi India might bring the Mi A2 smartphone to Indian audience before Q2 ends. Previous article Infocus Vision 3: Beautiful, Fast, Bezel-less Budget Smartphone! Next article Nokia 6 2018: Could this be the best smartphone under 15,000?